Try our Natural Pink Sapphire Crystals Satisfaction Guarantee - compare our prices and our superior Sapphire quality. Click on any genuine pink sapphire crystal image below to enlarge it. Sapphire Crystal Dimensions: 1.2" x 1.1" x 0.85"
This natural pink sapphire crystal is unheated with natural pink color, and it is translucent with slightly tapering hexagonal form. The edges of this sapphire crystal glow pink when held to a light, and it shows some interesting triangular surface features on its upper pincoidal termination. See a view showing the triangular surface features on this pink sapphire crystal. There is a small amount of matrix still attached on some surfaces. Sapphire Crystal Dimensions: 1.3" x 1.2" x 0.8"
This natural pink sapphire crystal is unheated with natural pink color, and it is translucent with tabular hexagonal form. The edges of this sapphire crystal glow pink when held to a light, and it shows some interesting triangular surface features on its pincoidal terminations. See a view showing the triangular surface features on this pink sapphire crystal. There is a small amount of matrix still attached on some surfaces. Sapphire Crystal Dimensions: 1.8" x 1.4" x 1"
This natural pink sapphire crystal is unheated with natural pink color, and it is translucent with tabular hexagonal form. The edges of this sapphire crystal glow pink when held to a light, and it shows very interesting triangular surface features on its pincoidal terminations. See a view showing the triangular surface features on this pink sapphire crystal. There is a small amount of matrix still attached on some surfaces. Sapphire Crystal Dimensions: 0.95" x 0.8" x 0.5"
This unheated purple sapphire crystal is completely natural, and it has deep reddish-purple natural color. It has superior cabochon grade translucency with tabular hexagonal form. Sapphire Crystal Dimensions: 1.1" x 0.95" x 0.5"
This unheated purple sapphire crystal is completely natural, and it has deep reddish-purple natural color. It has cabochon grade translucency with tabular hexagonal form. Sapphire Crystal Dimensions: 1.7" x 1.3" x 0.95"
This unheated purple sapphire crystal is completely natural, and it has deep reddish-purple natural color. It has cabochon grade translucency with tabular hexagonal form. See also an opposite side view of this purple sapphire crystal. Sapphire Crystal Dimensions: 1.8" x 1.5" x 1"
This unheated purple sapphire crystal is completely natural, and it has deep reddish-purple natural color. It has cabochon grade translucency with tabular hexagonal form. There are some interesting natural triangular surface features on the bottom of the crystal which resemble mountains when viewed in a certain position. See a bottom view of this purple sapphire crystal. Sapphire Crystal Dimensions: 3.7" x 2.9" x 2.3"
This unheated purple sapphire crystal is completely natural, and it has deep reddish-purple natural color. It has cabochon grade translucency with tabular hexagonal form. The photo at left is a top view. 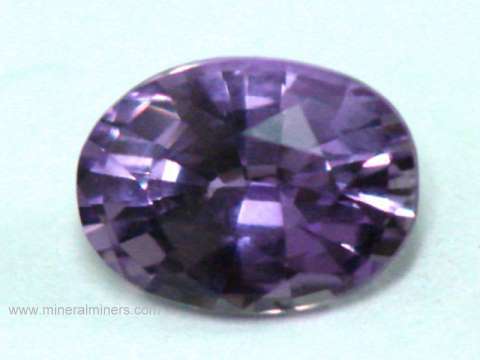 See a side view of this natural color purple sapphire crystal. There are some interesting natural triangular surface features on the bottom of the crystal which resemble a range of mountains when viewed in a certain position. See a bottom view of this natural purple sapphire specimen. 2.8" x 1.5" x 1.2"
This natural unheated pink sapphire crystal has natural pink color and is translucent with semi-transparent areas and is partially terminated. The edges of this sapphire crystal glow pink when held to a light. 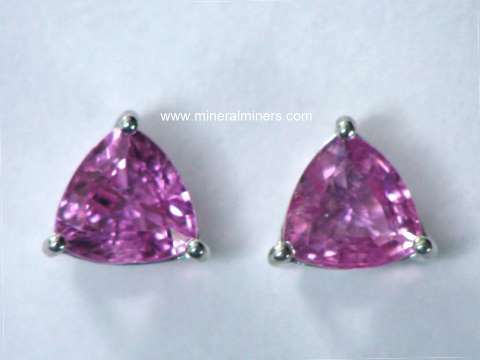 The photo at left shows a full-view, see also an opposite side view of this natural pink sapphire. 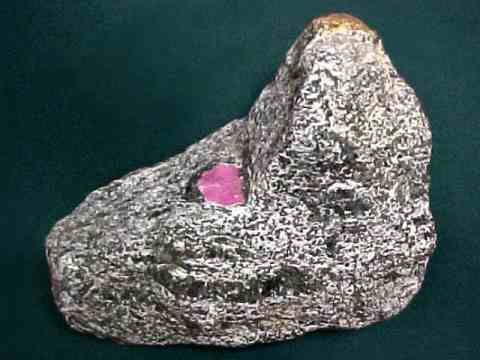 7.2" x 6.1" x 3.1"
This natural sapphire in matrix specimen has a translucent pink sapphire crystals measuring one inch across with medium pink natural color and flat tabular form. 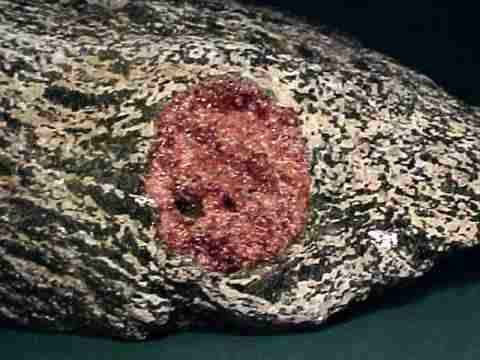 This unique specimen also has a large reddish garnet exposed on one side that measures 1.5 inches across. See a full-view photo, and also a close-up photo of the garnet. 6.0" x 6.0" x 1.6"
This natural sapphire in matrix specimen has several translucent to semi-transparent pink sapphire crystals exposed on its surfaces with light pink natural color and tabular hexagonal form. The largest pink sapphire crystal measures one inches across and has interesting triangular surface features. 13.5" x 7.5" x 3.5"
This natural sapphire in matrix specimen weighs 16.3 popunds and measures over one foot long! 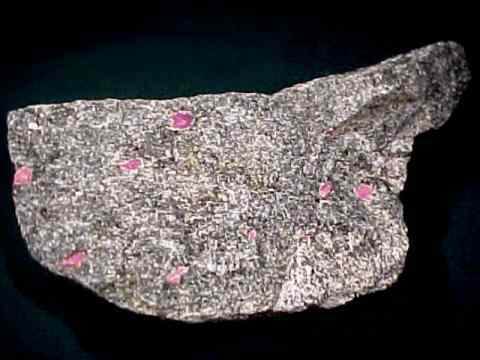 It has several translucent pink sapphire crystals, the largest measures 3/4 inch across. They have medium pink natural color and flat tabular form. The photo at left shows a close-up, see also a full-view photo. Natural Grayish Pinkish Purple Sapphire Specimen on Matrix! 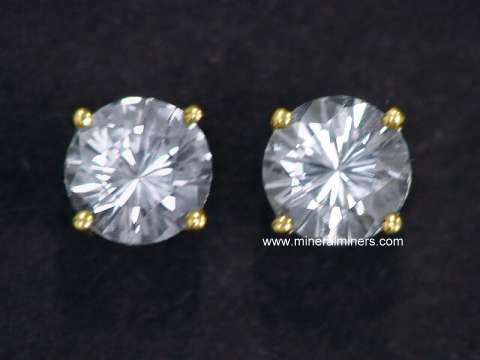 This pair of natural, non treated mostly translucent sapphire crystals have bi-pyramidal form with faces of fairly good shape but not gemmy condition. The coloring of these sapphire crystals is a grayish pinkish purple throughout. Sapphire crystals on matrix mined in situ are quite rare in Sri Lanka, most are mined in alluvium. This crystal on matrix specimen was mined near Balangoda, Sri Lanka (Ceylon) and is a unique specimen of Ceylon sapphire. Natural Purpleish Pink Sapphire Specimen on Matrix! Crystal measures over 1.2"x 0.4"
This natural, non treated mostly translucent sapphire crystal has bi-pyramidal form with faces of fairly good shape but not gemmy condition. The coloring of this sapphire crystal is mostly a purpleish pink. There is another partial crystal off to the side on this specimen. Sapphire crystals on matrix mined in situ are quite rare in Sri Lanka, most are mined in alluvium. This crystal on matrix specimen was mined near Balangoda, Sri Lanka (Ceylon) and is a unique specimen of Ceylon sapphire. See also another view photo of this natural pink sapphire crystal. Natural Light Pink Sapphire Specimen on Matrix! Chrystal measures over 1.25"x 0.5"
This natural, non treated mostly translucent sapphire crystal has bi-pyramidal form with faces of fairly good shape but not gemmy condition. The coloring of this sapphire crystal is mostly pink. 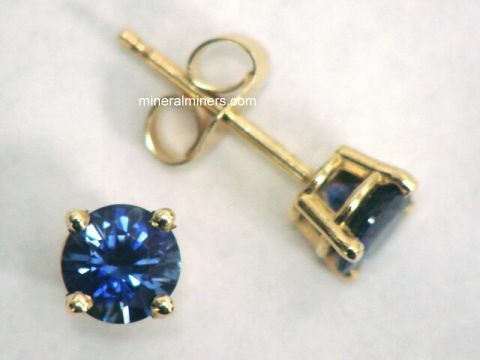 Sapphire crystals on matrix mined in situ are quite rare in Sri Lanka, most are mined in alluvium. This crystal on matrix specimen was mined near Balangoda, Sri Lanka (Ceylon) and is a unique specimen of Ceylon sapphire. 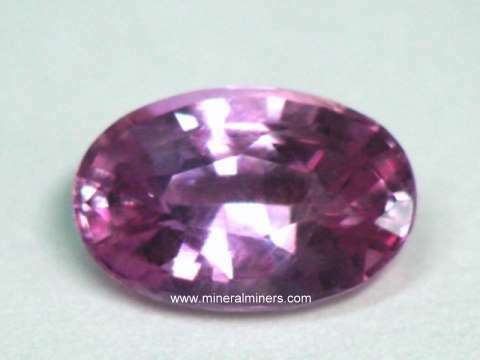 We have a large selection of natural color pink sapphire gemstones and purple sapphire gemstones that were mined in Sri Lanka (Ceylon) available in assorted sizes and shapes including rounds, ovals, trillions and pear shape pink sapphire gems. Our pink sapphire gems have different shades of pink from light pink to deep reddish pink, and we even have some natural pink star sapphire gemstones! 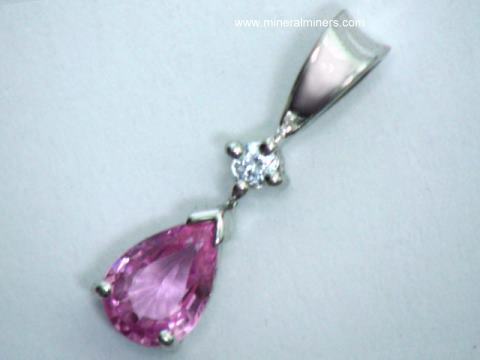 See a variety of genuine pink sapphire jewelry items including pink sapphire pendants and pink sapphire necklaces on our pink sapphire jewelry page. Our pink sapphire jewelry items are set with unheated pink sapphire gemstones in 14k gold settings. 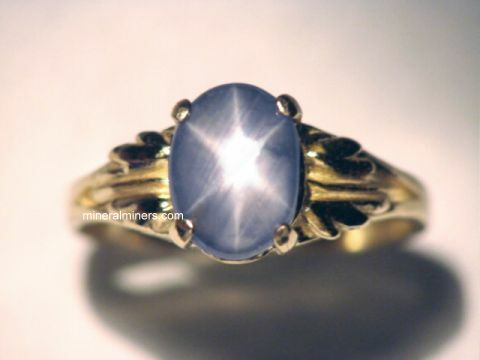 See also our natural Blue Sapphire Crystals and our natural Star Sapphire Crystals! Our pink sapphire in matrix mineral specimens and our loose pink sapphire crystals are genuine pink sapphires that were mined in the earth! 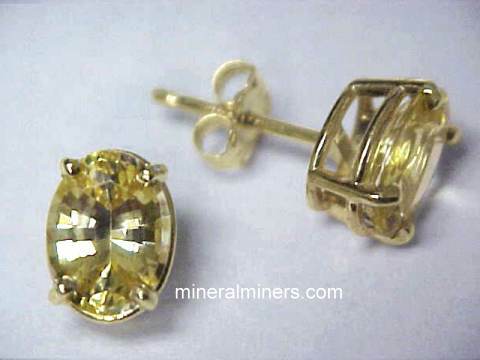 Here at mineralminers.com, we do not have any lab-created sapphires, and we do not have any diffusion treated sapphires! We specialize in natural sapphires and natural corundum. A few of our sapphire gemstones have been heated only, and their description will indicate this. We also have genuine pink sapphire jewelry items including earrings set in solid 14k gold, and natural pink sapphire necklaces. We have a large selection of sizes and shapes of 14k gold sapphire jewelry designs in all naturally occuring sapphire colors. 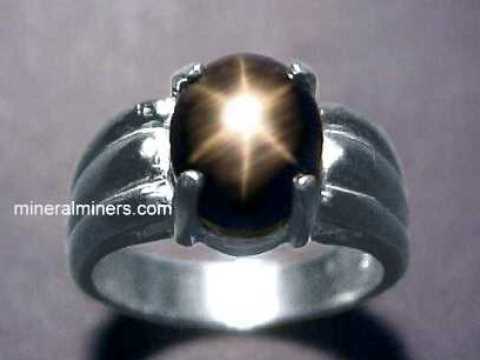 For more information about natural sapphire and the history, physical properties, chemistry, occurance, and metaphysical uses of sapphire, be sure to see our sapphire information page. To see more pink sapphire photos, just select another item category from the table below. To see photos of another sapphire or mineral variety, select any item category link in our Mineral Inventory & Factsheet Index. 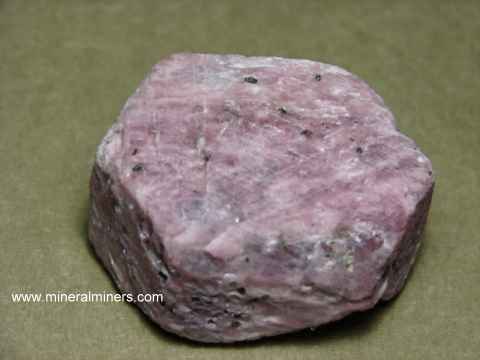 Would you like us to inform you when we add on this page more natural color pink sapphire crystals and pink sapphire mineral specimens in matrix? We do have additional inventory of natural pink sapphire crystals in stock, so be sure to let us know if you have any genuine pink sapphire requests. Please contact our webmaster, regarding pink sapphire crystals or our 'site' geologist with any questions or comments.